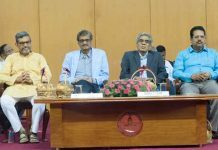 New Delhi : The Indraprastha Institute of Information Technology Delhi (IIIT-Delhi) hosted its 6th Convocation Ceremony at institute’s campus in Okhla Phase –III in the presence of Padma Shri T.V. 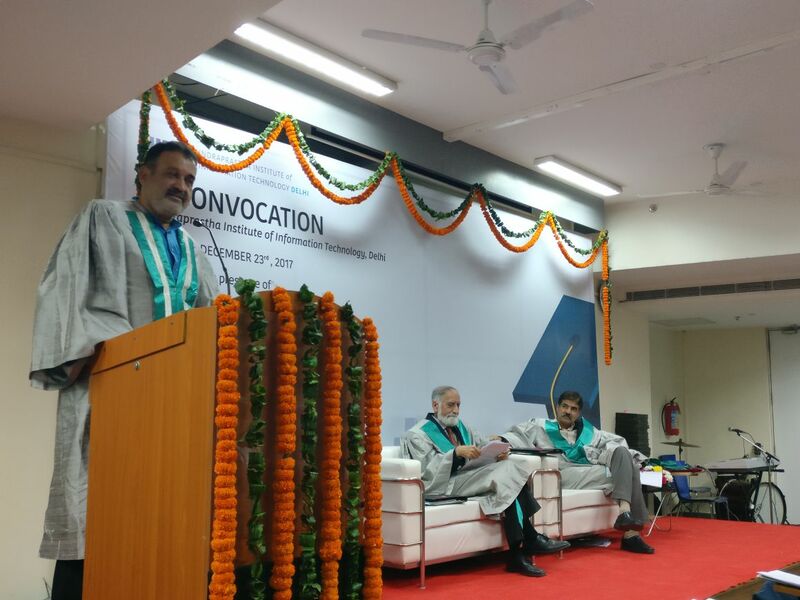 Mohandas Pai, Chairperson of the Board of Manipal Global Education Services as Chief Guest, Mr. Kiran Karnik, Chairman, Board of Governors, IIIT-Delhi and Prof. Pankaj Jalote, Director at IIIT-Delhi. During the convocation ceremony, 139 B.Tech, 97 M.Tech and 13 PhD degrees were awarded from various branches. This is the first year IIITD crossed double digits in conferring the PhD degrees in an year which is quite an achievement for an institute that is just 9 years old. During his convocation address Prof. Pankaj Jalote, Director, IIIT-Delhi announced that, “TCS has agreed to sponsor a new Research Center on Design and New Media. This center is first of its kind in the country, and will research in areas like HCI, interaction design, design thinking, gaming, animation, special effects, digital music, etc. This center has also facilitated in the Institute launch a unique BTech program in Computer Science and Design”. 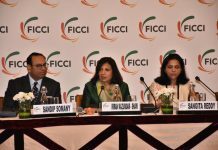 To encourage research, the Government of Delhi has launched a scheme to support research by providing research grant equal to the funds raised by the Institute. 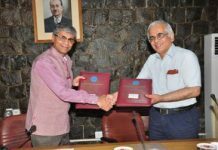 IIIT-Delhi is expecting to get Rs 10 crores grant from the Government for supporting research this year. This year the institute got 36 researched projects, for a total sanctioned amount of around 14 Crores. Institute faculty and students also published 185 research papers, and were also invited to more than 100 national and international seminars as a speaker. The institute record in placement remains exceptional – for the year 2016-2017; its students received total 342 offers from 102 companies. The average salary was over 12 lakhs, and the median salary was 11 lakhs, with two-thirds of the students securing an annual package of over Rs. 8 Lakhs. Also, 12 percent students have gone for higher studies in the top universities across the world. In the past, IIIT-Delhi’s students have received offers from top universities across the world including Carnegie Mellon University (CMU), University of Cambridge, Georgia Tech, University of Southern California, University of California San Diego, University of Waterloo, UIUC, Cambridge, Oxford, Purdue, etc. All these achievements have helped IIIT-Delhi achieve a global stature, which is now being recognized as well. The QS BRICS University rankings have ranked IIIT-Delhi in top 200 in their 2018 edition, in which they evaluated 9000 institutions in BRICS countries – putting IIIT-Delhi in the top 2%. There are only two other Universities from Delhi in top 200 – IIT Delhi and Delhi University. Last year AICTE also awarded IIIT-Delhi as the Cleanest Campus in North-West Region. Moreover, the phase II of the campus construction is almost over. New Academic Building is fully functional and other buildings are also expected to be delivered soon. With this, the Institute will have capacity to expand to about 3000 students and about 150 faculty. Prof Jalote envisioned that with the current momentum of progress, the institute would be self-sustainable within a few years, much ahead of what was originally envisaged. 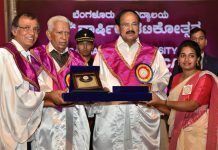 Chief Guest at the convocation, Padma Shri T.V. Mohandas Pai, Chairperson of the Board of Manipal Global Education Services said, “I want to congratulate all the students graduating from this institution. 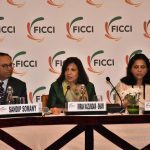 As now you are going to enter in the competitive world; I wish that you all will judiciously use the skills, values, morals, ethics and techniques taught to you during the program in future too”. Best B.Tech. Project Award for the Research Track- KartikMaji, Shubham Sinha, Taruvar Aggarwal. Best MTech Thesis Award in CSE – Sangeeth.K. Previous articleBiotechnologist from Amrita Vishwa Vidyapeetham awarded prestigious fellowship by Indian Govt.